Does The Amount Of Money I Make Each Year Have An Effect On My Decision To File For Bankruptcy? Yes, it does. In fact, that is the threshold question in determining which chapter of bankruptcy you might qualify for. The rules are very precise on this question, but as always, finding the right attorney who understands this specialized area of law is invaluable. To begin with, it should be known right away that when you file a Missouri bankruptcy, the government is going to want to know two main things about your situation: 1) your household size (i.e. how many people besides yourself live with you; and 2) what is your household income (i.e. the amount of money from all sources of income). The answer to these two questions will do more to determine your bankruptcy options than anything else. The government will specifically want to know what the household income was the six months prior to filing for bankruptcy. This period is described as the ‘CMI period’ (or Current Monthly Income). To determine this amount of money, people will typically look to their last six month’s worth of paystubs. Using the gross income figures (the amount you were paid before taxes and other deductions were taken out), the last six months are tabulated. So for instance if you are married, and you and your spouse both work, then both of your CMI periods will have to be calculated (which means coming up with the last six months of pay advices). This amount is then annualized to determine what your household income is. The other important question, How big of a household do you live in?, is very much tied to the question of household income. Let’s say you are a household of three (you, your spouse, and a child). According to the government, the average (or median) income for a household of three is right around $58-59,000 a year. Let’s also say that once you add all of the household income together for the CMI period (which is then annualized based on that figure), your particular household brings in $55,000 a year. In this situation, you would qualify for a St. Louis Chapter 7 bankruptcy (assuming you have not filed such a bankruptcy in the previous eight (8) years). If the household income is substantially above this median level, then you would most likely have to file a St. Louis Chapter 13 bankruptcy (which has a number of benefits that the Chapter 7 does not, like the ability to strip off a second mortgage, repay arrearage on a home loan, cram down the amount you owe on a car to the actual value of the automobile, etc.). Chances are you do not fit neatly into the example given above. Indeed, there are innumerable examples and sets of circumstances that people could find themselves in. But then this is why it is so terribly important to hire an experienced lawyer who knows and understands this kind of law inside and out. 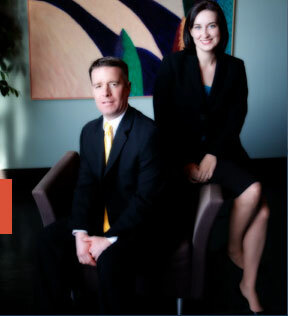 The affordable St. Louis bankruptcy attorneys at Brinkman & Alter, LLC have been providing bankruptcy legal services to clients for years. Our goal is to make sure that you get rid of all the debt you do not want, keep all the assets you wish to retain, and set you on a path towards financial freedom. This is the fresh start / clean slate promise we give to each client.